Borussia Mönchengladbach lost 1-0 to Borussia Dortmund on Sunday after Christoph Kramer scored one of the best own goals you’ll ever see. 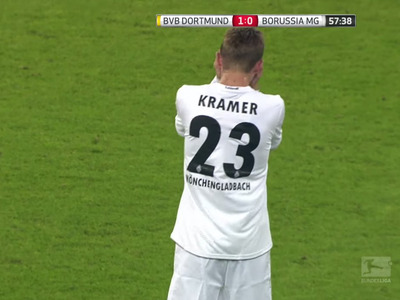 Kramer attempted to pass the ball back to his goalkeeper from the edge of the center circle. It all went horribly wrong. He looped the ball over his keeper’s head and into the goal.